Thanks to more than a trillion dollars of prospective investment—led by China’s $800 billion Belt and Road Initiative linking countries stretching between East Asia and Europe—the Silk Road is rising again. The series of once-legendary pathways connecting cities, from Kashgar to Paro to Constantinople, which originated at the dawn of the common era and collapsed with the fall of the Mongol empire in the early 16th century, is now being reborn as a network of highways, railways, and airports linking 65 countries. 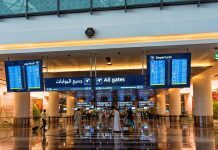 Add improved safety and easier-to-access visas, and the bazaar-filled cities of Central Asia are more accessible than ever. For travelers, this means a wealth of new destinations to explore—some sprung from deserts overnight and others that have for too long been left off tourist maps. Uzbekistan is reporting a 40 percent year-on-year rise in tourism; Baku, Azerbaijan, has also awakened from its post-Soviet slumber to rank among the fastest-growing tourism destinations in Europe and Central Asia. The growth had been simmering for years; now it’s boiling hot. His company is just one of several tour operators—including Ker & Downey, Abercrombie & Kent, and Remote Lands—helping travelers realize a suddenly buzzy fantasy of traveling the Silk Road. But completing that journey end-to-end can take anywhere from six weeks to three months. Here, a few locations to prioritize if your vacation days aren’t quite that plentiful. The heart of the original Silk Road was inarguably the central Chinese city of Chang’an, or modern-day Xi’an. In the eighth century, it was the largest and most cosmopolitan city in the world—a beacon for traders from all corners of Asia. Now an international trade hub with 12 million residents, Xi’an is reclaiming its former glory as the eastern terminus of the Belt and Road—perhaps no surprise, considering it’s the hometown of President Xi Jinping. What to see and do: While most visitors know Xi’an for its iconic terra cotta army, there is much more to the place. Start at Tang West Market, which is said to have been the precise, historic start of the old Silk Road; today, it’s a shopping bonanza where you’ll find everything from faux antique daggers to jade-bejeweled brass pots. Make a pit stop at the Tang West Market Museum, which has one of the world’s biggest displays of relics from all sides of the Silk Road. Then make your way to the city’s Muslim quarter, where narrow alleyways are lined elbow-to-elbow with traditional shops and street food stalls. Be adventurous and try foods you’ve never tasted before: spicy camel skewers, wholesome quarter-inch-wide biang biang noodles, and delicately sweet persimmon doughnuts. Want a glimpse of the city’s modern edge? Head to Chanba Ecological Zone, a landfill that’s been converted into a sparkling new urban area. It’s the epicenter of Xi’an’s Belt and Road endeavors and features a massive wetland park that’s perfect for boating and birdwatching. Where to stay: The five-star Gran Melia Xi’an offers all the comforts associated with an international brand; the Eastern House Boutique Hotel, meanwhile, offers a sleek but still local-feeling experience. Uzbekistan’s ancient cities still stand remarkably intact—along with their ornate, mosaic-laden monuments. As a result, this country brims with a fascinating sense of history, layers of architectural and religious heritage, and a global mélange of cultural traditions forged over millennia. Quality hotels are a relatively new prospect here, says Bealby. There’s been an uptick in creatively designed accommodations tucked into old caravansaries—where ancient traders would work and sleep—in the old town of Samarkand and in the old walled city of Kiva. And the best newcomers have been exceptional. “They’re on par with anywhere in Paris, London, India, whatever you choose to look at,” he exclaims. 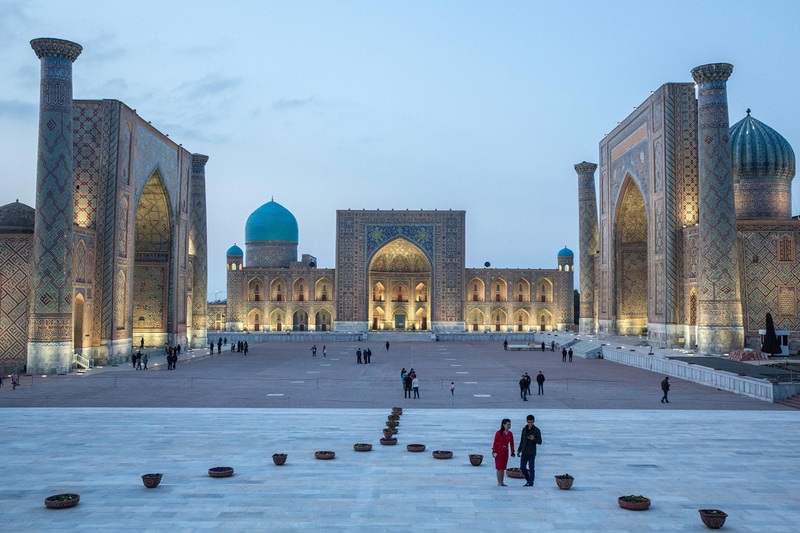 What to see and do: Though you’ll fly in via Tashkent, it’s best to connect straight through to Samarkand—a 2,500-year-old city 200 miles to the capital’s south. There, you can see where Genghis Khan sacked the city of Afrosiab in the 13th century, watch daily life unfold against a backdrop of mud-brick Uzbek houses in the medieval quarter, and visit such eye-popping sites as the 15th century Registan Mosque. Then it’s off to Bukhara, a city studded with glistening turquoise domes, ornate mosques, ancient forts, and layer upon layer of living history. It’s one of the region’s best-preserved medieval cities—with several significant monuments, such as the Indian-influenced, four-minaret Char Minar, in close proximity to one another. If you still have time left, Khiva is your last stop. It’s an incredible example of traditional Islamic urban design, and its 200-year-old inner fortress, the Itchan Kala, will send you traveling back through time. Where to stay: In Samarkand, the Grand Samarkand offers a sense of Silk Road history with modern sensibilities; in Bukhara, Bealby recommends either the Minzifa Hotel, the Bibi Khanum, or the Malika Bukhara; and in Khiva, the character-packed Orient Star Hotel and Qosha Darvoza are the best games in town. Many Silk Road destinations claim to be “the place where the east meets the west,” but Azerbaijan has the best geographical claim to that title. Just as in antiquity, it remains a place where minds from all sorts of far-off lands converge—though these days they’re more likely drilling for oil or shopping at fashionable boutiques than trading wares. The capital, Baku, is somewhat like Dubai: It’s ripe with old world charm and modern-day glitz, but it’s the adventurous day trips waiting just outside the city that you might remember most. What to see and do: Baku’s architecture spells the capital’s history like an open book. The winding streets of the Islamic old city, a Unesco World Heritage Site, are packed elbow-to-elbow with matching stone buildings that date to the 12th century; some of the original caravansaries still stand and have been converted into fine-dining spots. The outer city, meanwhile, was built by imperial Russians with impressive Baroque, Gothic, and postmodern buildings lining massive, gridded boulevards. Downtown are skyscrapers pulled from a futuristic era. If all those contrasts leave you exhausted and feeling you’re gone through several wormholes, chill along the revitalized waterfront district, which provides ample lookouts where you can sit and relax. 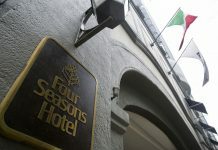 Where to stay: Fairmont, JW Marriott, and Four Seasons all have solid options in town. History buffs who come to Greece think first of Zeus, Homer, and the Parthenon. But another claim to fame is that the country was the trailhead for one of the first iterations of the Silk Road, dating to Alexander the Great’s conquests in the 4th century B.C. Glimmers of that legacy remain in the north, in such little-visited destinations as Vergina and Soufli. The new Belt and Road is emerging as an important narrative here, too, particularly in Piraeus, a bustling port city since ancient times. The port itself was purchased by the Chinese in 2016 and was subsequently built up to be one of Europe’s busiest marine hubs—more than quadrupling the port’s container traffic since 2010. Where to stay: In Vergina, the rustic but lovely Ktima Kalaitzi has its own winery. In Thessaloniki, stay in the grand (if slightly dated) Electra Palace Thessaloniki or right by the sea at the hyper-modern Makedonia Palace.